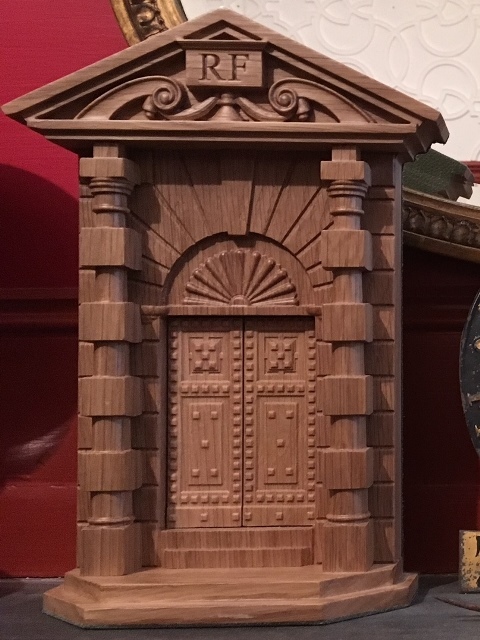 This was a commission to build two bookends based on a design for a large Italianate garden gate/door designed by by 16th/17th century British architect Inigo Jones. As you can see in the images each bookend was made from 7 seperate carved pieces. Enter your name and email address below to receive occasional news and updates. We'll send an email to confirm your subscription. A lot more flower lights, some door embellishment and more wooden bowls. Bits & Pieces, Flower Lights, New Iterations, Tardis Tiles, A Pear Chair and an Ash Stool. Pot Belly Bowl, Flowers, Card Suits, Light Rose, Door Head Fan and Celtic Weave Inlay. Arched Doorway, Fountains Abbey, Moulding, Light Covers, an Old Bowl etc.